In the midst of an era fueled by generalizations and incendiary rhetoric, how do we share immigrant stories in a way that is reflective and representative of their complexity and humanity? 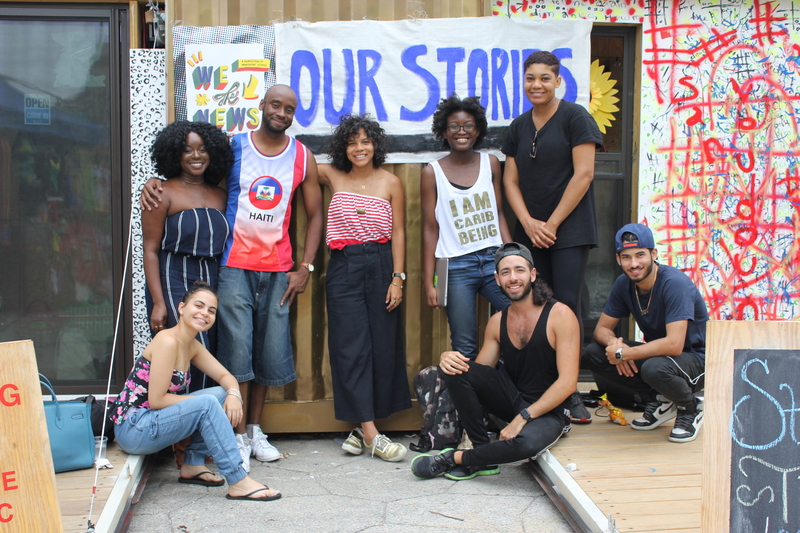 We the News aims to amplify these unique stories via physical newsstands located in small businesses around Bed-Stuy. Each newsstand will be filled with bilingual zines created by immigrants affiliated with local partnering organizations. Historically, zines have been a medium of communication within subcultures and a tool in activist movements and organizing. Via zines that focus on stories of traditions and rituals, Lizania hopes to co-create spaces of sanctuary through the use of language, personifying the role words and messages play in uniting, empowering, and building community. Originally from the Dominican Republic, Lizania Cruz is a designer and artist based in Bed-Stuy. In 2016 the Center for Urban Pedagogy selected her to collaborate with Vocal NYC on a poster design informing people with criminal records of their rights under the Fair Chance Act. Her work has received national recognition from organizations such as AIGA and TDC. Most recently she launched Flowers for Immigration, a photo project that tells the stories of immigrant bodega workers through their flower arrangements. The project was featured on Fusion News and Lenny Letter.